Do you know someone who spends a lot of time in their garage doing home repairs, mechanical work, crafts, or gaming? The garage isn’t just a storage space for a car, it can also be a man cave, workstation, or artist’s studio, among other things. If you have someone in your life who is putting their garage to good use on a daily basis, that might be a good place to start when it comes to finding the right Christmas gift for that person. Take a look at a few great Christmas gift ideas for the garage lover in your life. 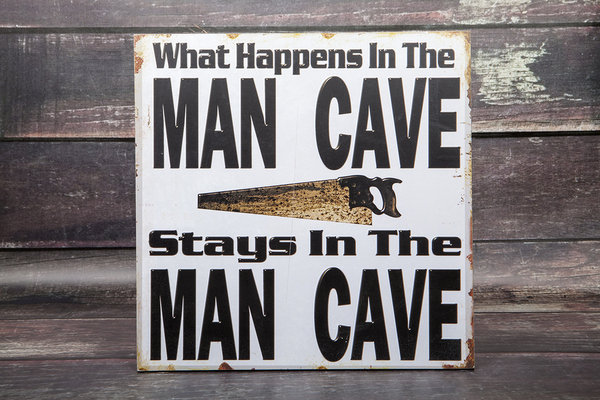 If you’re gift shopping for someone who has converted their garage into a man cave or she shed complete with television, gaming system, and refrigerator, some fun décor for their space can be a great gift idea. There are plenty of directions that you can take this gift idea. Fun novelty signs can hang on the wall or decorate the door. If the garage is a little dark, you might want to find a unique lamp to help illuminate the space. A bamboo rug or a potted plant can make the space a little warmer and more welcoming. If your garage lover spends lots of time building things, repairing things, or creating things in their garage, you can’t go wrong with storage solutions. Tools and supplies have a way of accumulating, and when that happens, it’s easy for things to get disorganized. And it’s much harder to get work done in a disorganized garage space. Consider a pegboard or Slatwall wall addition that will give them more space to store tools and other items. Slatwall is especially useful, as you can add hooks for hanging items, shelves for items that need to sit flat, and even hanging storage baskets that have a variety of uses. Another great option is a new workbench if your garage lover doesn’t have one, or if the old one is in need of an upgrade. Not only will a workbench with shelves and drawers add to their storage space, it will also give them a new work surface that may come in handy. No matter what your loved one is using their garage for, chances are that there’s something worth protecting in there. Whether it’s electronics, power tools, or mechanical equipment, you’ll want to ensure that your loved one’s garage items stay safe. Consider upgrading the garage door opener. A smart garage door opener can be controlled by a smartphone or computer. There are openers that can open and close garage doors remotely and even send out alerts if the door is accidentally left open. Some models include integrated cameras and infrared lights for nighttime security. Updating, decorating, and renovating the garage in some way can really make a garage lover’s Christmas memorable. For more great garage improvement ideas, get a free design consultation and estimate.